Thomas W. Hall, Jr. has been an attorney engaged in the private practice of law in Mt. Pleasant, Michigan, for 46 years. Mt. Pleasant is located in the heart of Central Michigan, approximately one hour North of Lansing, the State Capital. It is the home of Central Michigan University, which has 23,000 students and boasts quality Division 1 sports and a medical school recently added to its educational offerings. Mt. Pleasant has also been known since the 1930s as the oil capital of Michigan, hence its high school football team carries the school nickname, the Mt. Pleasant Oilers. Mt. Pleasant is also the county seat of Isabella County, which has over 70,000 residents. The Soaring Eagle Casino is adjacent to the city and is the second largest casino East of the Mississippi River, employing hundreds of area people. Thus, Mt. Pleasant, Michigan, is a diverse, busy, bustling little city which has a great deal to offer. 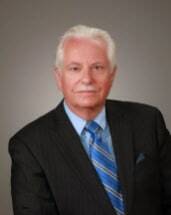 Mr. Hall has had considerable experience as an attorney in a variety of areas of the law. He began his career as an associate attorney with the firm of Gray, Thompson, Hall & Taylor, which was a general practice firm in Mt. Pleasant focusing on personal injury, real estate, family and business law. He later became a partner with Mr. J. Paul Janes, which became the firm of Cotter, Janes & Hall and, later, Janes & Hall, P. C. In 1984, Mr. Hall began an independent practice, and Mr. John W. Lewis joined him in 1987. Ms. Bolles joined the firm in 1997. Mr. Lewis established a firm in Big Rapids, Michigan, and is no longer with the firm. In addition to the current attorneys, the firm employs two experienced staff persons who work with the attorneys each day. Thomas Hall's experience and expertise in his profession is derived from years of developing a working knowledge in a number of areas of the law. These include real estate law, where he prepared hundreds of title opinions before title insurance became the industry norm and has handled hundreds of real estate transactions for buyers and sellers. He has represented clients in disputes over land and over land transactions both outside of the court system as well as within the Circuit Courts, Michigan Court of Appeals and Michigan Supreme Court. In the field of family law, Mr. Hall was involved in the development of the currently used standard orders issued by the Isabella CountyFamilyCourt. He has represented parties over the issues of child custody, support and property division in the family courts of Isabella, Clare, Gladwin, Roscommon, Midland, Bay, Gratiot, Ingham, Montcalm, Osceola and Mecosta Counties, as well as in the appellate courts of Michigan. Mr. Hall has worked with clients of Hall & Bolles, P. C., to establish a variety of corporations, limited liability companies, partnerships, limited partnerships and family limited partnerships and works with many of these entities and their owners to make sure that his clients' business needs are met on an ongoing basis. This often includes drafting or reviewing of agreements relating to employment, confidential trade information, leases, purchase agreements for real estate and/or businesses, and other documents and agreements which meet the needs of the firm's business clients. These business relationships also often involve representation in litigation, including where claims are asserted against businesses such as where insurance coverage is not provided. In the field of estate planning, Mr. Hall has represented physicians, educators, business owners and hundreds of other people in preparing wills, trusts and other documents for the purpose of meeting the estate planning goals of his clients. The firm prides itself in assisting its clients in the development of unique estate plans to fit the wishes and needs of each client, creating plans which avoid probate and unnecessary tax, in order to assure the prompt distribution of assets without the unnecessary involvement of courts and lawyers. We make a special effort to work with our estate planning clients to make sure that they understand how their estate plan functions and how it can continue to meet their needs in the future. Mr. Hall has served as the Isabella County Public Administrator since 1979. This is an appointment to serve for the State of Michigan when probate proceedings are needed for persons who die without heirs. Hall & Bolles, P. C. has for years handled the probate of decedent's estates, and Mr. Hall is experienced in representing clients by guiding them through the probate process following the death of a loved one. He has also represented heirs and trust beneficiaries in lawsuits and other situations where family greed has resulted in unlawful behavior by a person who was unfortunately wrongly trusted by their loved one, at the expense of other family members or beneficiaries. These situations are all too common, and Mr. Hall's experience in estate planning, as well as in estate and trust administration, is important to knowing the law in this field, as well as in recognizing the limits to which a fiduciary may lawfully go. For 10 years, Thomas Hall was one of two general counsel for Isabella Bank, which is now a multi-billion dollar financial institution, with its home offices in Mt. Pleasant. Hall & Bolles, P. C. has now been general counsel for the Isabella Community Credit Union for over 30 years and currently is also regional counsel for Pacesetter Bank. The firm has long term experience in representing financial institutions and is engaged in collection actions for these and a number of banks, credit unions and other financial institutions, as well as for individual clients. When the firm handles complex civil commercial litigation, our attorneys work together to assure that our clients' needs are met. Hall & Bolles, P. C. has experience in oil and gas litigation, as well as contract dispute litigation over millions of dollars in revenue. Our attorneys have briefed and argued for our clients in such civil cases in the Michigan Court of Appeals on many occasions, as well as in the Michigan Supreme Court. Thomas Hall has fit into his busy schedule as a lawyer the authoring of two articles published by the Real Estate and Family Law Sections of the State Bar of Michigan. In addition, he has been a presenter at seminars on the topic of title examination in Michigan. History is his hobby, and he has published a number of articles on topics pertaining to World War II. Although Hall & Bolles, P. C.'s two attorneys each focus their practice in their chosen areas of the law, they each bring diverse experience and expertise to the table as they work toward the goal of finding solutions to our firm's clients' problems. We also recognize that attorney fees are a concern for each of our clients and have adopted billing policies and practices which we believe are fair, since we have seen abuses by lawyers and law firms over fee issues. We are proud of the fact that Hall & Bolles, P. C. has experienced minimal fee disputes with our clients and are always willing to discuss the issue of fees and costs from the onset of our representation. Our firm would be pleased to have the opportunity to assist you with your legal matter. Based in Mount Pleasant, Michigan, the attorneys of Hall & Bolles, P.C. counsel and represent clients throughout much of Mid-Michigan, including Isabella, Midland, Clare, Gladwin, Gratiot, Mecosta, Montcalm, Osceola Counties, and communitiessuch asMidland,BigRapids, Alma, Ithaca, Clare, Harrison, Gladwin, Stanton, ReedCity, Shepherd,BealCity,Edmore and Coleman, Michigan. The firm has handled numerous cases in the Saginaw Chippewa Indian Tribal Court and cases involving students at Central Michigan University.